The number of claims to insurers for water damage exceeds the number of claims related to theft or fire. As a result, most insurance companies offer only limited coverage for water-related claims, which can result in significant additional expenses for homeowners. For co-owners, a water damage in a unit on the 10th floor, can turn into water damage on 10 floors. 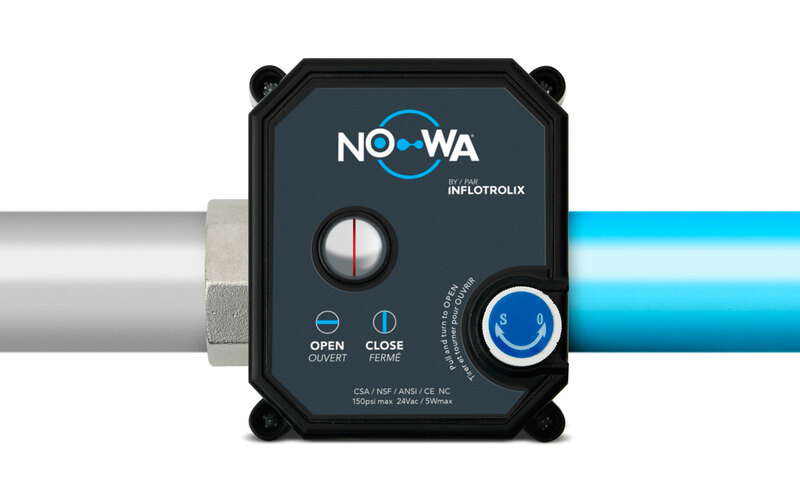 Avoid the worst and have the NOWA © WATER DETECTION SYSTEM installed. 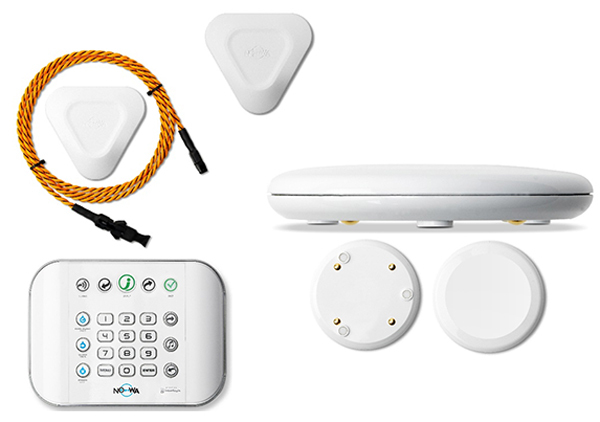 The system detects the water leak, sounds the alarm, closes the main water valve and alerts your security system. Thanks to this quick process, the amount of damage is reduced to a small puddle which is easily be wiped with a cloth. Prevent health problems caused by mold. A single control unit can handle up to 64 different Nowa detectors. The signal between control unit and detectors is powerful enough to cover up to 5000 sq.ft. 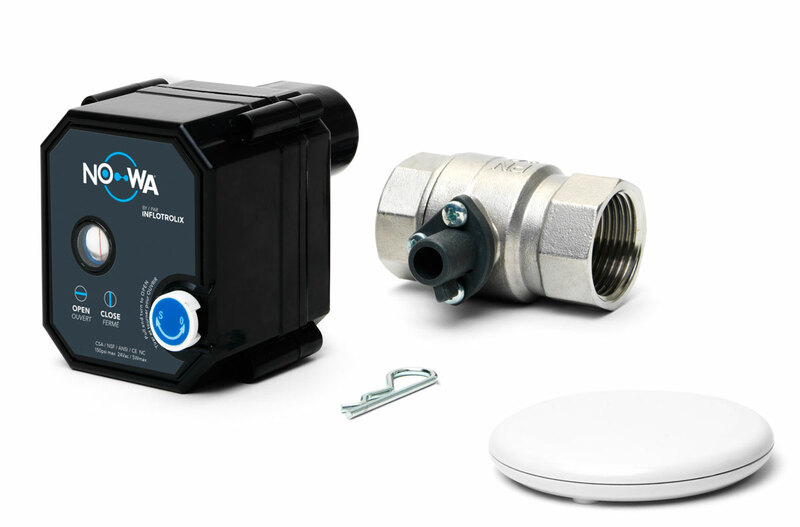 On the image, there is the control unit, the round water detector, which also protects against frost and the mini detector (also available in black), with the perimeter cable.